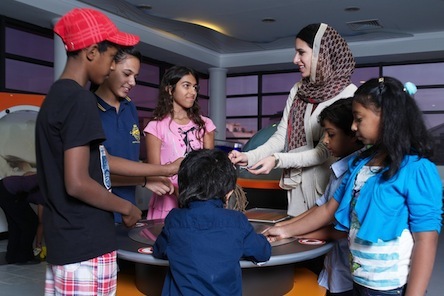 Each month the Bahrain Science Centre focuses some of its educational programmes on a different theme. In November the theme will be ‘Social Media and Socialization’ and the Science Centre will be hosting displays, debates and discussion groups on the challenges and opportunities that social media present to people today. The early 21st century is a time of wide choices, including choices on how we can communicate with one another. Although the various forms of social media and digital communications provide people with many ways of communicating, and the world is arguably better connected than ever before, many people still seem to be strangely disconnected from society. Furthermore, those who make extensive use of social media seem to live in an isolated, virtual world and to have lost the skills of one-on-one live communication with other people. During a time of great connectivity, we are losing our communication skills. The programmes in the Science Centre will discuss this issue as well as topics such as digital addictions, the impact of social and digital media on brain and child development, and the role of social media in the modern world. In addition, the Science Centre will present displays and talks on the history of computing and social media. Lessons will also be offered on how to access social media and how to design your own FaceBook page. Don’t miss these exciting events. “The Ministry of Social Development supports the concept of having a different theme each month in the Bahrain Science Centre which focuses on science as well as how modern technology affects the youth today,” said Khalid Eshaq Alkoheji, Undersecretary for Community Development in the Ministry. The month’s events will include a communications workshop by David Hollywood, a leading theatre and literary personality in Bahrain at 5pm on the 22nd of November. David is the chair of the Theatre Group, the Poetry Group, the Bahrain Writer’s Circle and is developing performing arts in Bahrain. The Bahrain Science Centre is located in Building 334, Road 109, Block 801, Riyadh Avenue, Isa Town, Kingdom of Bahrain and can be contacted on +973 1 768 6466. I stumbleupon every day. It’s always interesting to read through articles from other writers and use a little something from other websites.